My favorite place to grab a bite to eat is at a popular chain Mexican restaurant, Chipotle. Just the other day I was planning on heading to Chipotle for lunch, so I asked my dad if if would like to join me. My dad’s response was very hesitant and then finally he stated “Nah I’m good, I don’t want E-coli”. I was very thrown off by his response because I have eaten there many times and I do not have E-coli. I know that Chipotle has been in the news for some type of food related illness, but I did not look that much into because I loved eating there that much. After what my dad said, how much I eat there and based off what I have heard in the news I decided it’s time to put a little research into what exactly E-coli is. E-coli is an abbreviation for the term Escherichia coli, and despite what the majority of people may think (including myself) this is a bacteria not a disease. This bacteria lives and forms within the intestines of not just people but animals as well. The most common way to be infected by E-coli is eating or drinking food and water that has been in contact with the bacteria. For example, some of these contaminated foods may be, unpasteurized milk, foods stored at the wrong temperature, produce that was not washed thoroughly, not fully cooked meats and overall incorrect handling of food. E-coli can unfortunately cause many unwanted symptoms such as diarrhea, stomach pains, fever and sometimes mild or major dehydration. According to the FDA, numerous people had been infected by E-coli by November 2015 that had all eaten at a Chipotle Mexican Grill. Chipotle decided to act swiftly and shut down 43 of their restaurants in many different locations within the United States. The chain only closed the restaurants that seemed as if they could have somehow been linked to E-coli breakout because it seemed unnecessary to do so to any other restaurants. Luckily, there were no major effects from the outbreak such as death, and all of the employees of the restaurants escaped untouched and healthy. Since the E-coli breakout, Chipotle now takes more initiatives and precautions such as expanding the testing of all produce before sold, working more closely with government agencies to set in place health standards and most importantly replacing the ingredients in all the closed restaurants (FDA). Here is the exact and more in depth list of regulations now set in place. As mentioned above E-coli has many different symptoms, but luckily it has a cure and is Treatable. Treating E-coli is quite simple with steps like drinking a lot of water and resting. For some more severe cases regarding diarrhea and dehydration you may need to see a doctor. These treatments are very mild compared to what could be required to treat other bacteria or viruses. The fact that doctors rarely actually give out some type of medicine for E-coli says a lot but mild the bacteria usually is. The E-coli breakout in Chipotle Mexican restaurants was very unfortunate, but I personally do not think that you should let that be a reason to stop eating there. There are so many ways to contract this bacteria in everyday life and in our own cooking. With that being said I have come to the conclusion that my dad should get over his fear of eating at Chipotle, because anywhere he eats he is assuming the same risk! “General Information.” Centers for Disease Control and Prevention. Centers for Disease Control and Prevention, 06 Nov. 2015. Web. 04 Sept. 2016. @healthline. “E. Coli Infection.” Healthline. N.p., n.d. Web. 04 Sept. 2016. “FDA Investigates Multistate Outbreak of E. Coli O26 Infections Linked to Chipotle Mexican Grill Restaurants.” FDA Investigates Multistate Outbreak of E. Coli O26 Infections Linked to Chipotle Mexican Grill Restaurants. N.p., n.d. Web. 04 Sept. 2016. This entry was posted in Uncategorized on September 11, 2016 by Summer A Carson. I agree with your post completely. I think that because Chipotle is such a large and recognizable brand, the e-coli scare drew much more attention than needed and scared many away. My mom in particular was afraid to go because of the health scare in the news. My dad doesn’t like going to Chipotle that much either now, but for a different reason – it turns out burrito from Chipotle packs in way more calories than you’d think! 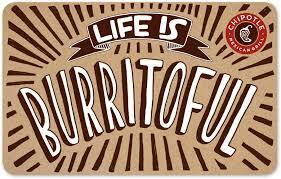 As an avid burrito eater my first love was chipotle, that was until I met my Mexican minx Qdoba. Now I have heard it all before chipotle has higher quality food and I was convinced by this for many years until my friend started to work at Qdoba as a line cook on the weekend. He told me all about the process the food goes through and that’s what really hooked me. I am now live or die by Qdoba’s free guac. This website is about a guy who had a similar path to me and explains why Doba is superior to chipotle.